The unemployment rate is likely near or below a point consistent with full employment. The economy currently operates at a pace sufficient to maintain further downward pressure on the unemployment rate. The natural rate of unemployment (and, likewise, potential output) is, however, an unobserved variable and as such estimates of its value are subject to nontrivial amounts of uncertainty. The low wage growth and low inflation of the past year look inconsistent with an economy operating at full employment. The reasons for (3) above may be mis-measurement of the natural rate of unemployment, a change in the inflation-setting mechanism such as declining inflation expectations, or simply the result of lags in the time between reaching full employment and experiencing an impact on wages and inflation. Given persistently low inflation, not just this year but also since the recession ended, the appropriate course of action is to delay further rate hikes until we have more clarity on the inflation story. 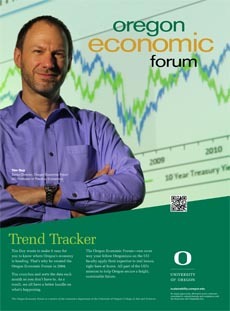 Moreover, then tendency of the Fed to error on too high unemployment over too high inflation also argues for caution. If rate hikes are delayed now, it is with the understanding that they may need to be adjusted upward quickly in the future or endure a period of above target inflation in a low unemployment environment (central bankers won’t like this). Nearly all participants reaffirmed the view that a gradual approach to increasing the target range was likely to promote the Committee’s objectives of maximum employment and price stability. A number of these participants were worried that a decline in longer-term inflation expectations would make it more challenging for the Committee to promote a return of inflation to 2 percent over the medium term. These participants’ concerns were sharpened by the apparently weak responsiveness of inflation to resource utilization and the low level of the neutral interest rate, and such considerations suggested that the removal of policy accommodation should be quite gradual. In contrast, some other participants were concerned about upside risks to inflation in an environment in which the economy had reached full employment and the labor market was projected to tighten further, or about still very accommodative financial conditions. 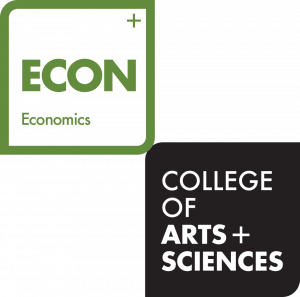 They cautioned that waiting too long to remove accommodation, or removing accommodation too slowly, could result in a substantial overshoot of the maximum sustainable level of employment that would likely be costly to reverse or could lead to increased risks to financial stability. A few of these participants emphasized that the lags in the response of inflation to tightening resource utilization implied that there could be increasing upside risks to inflation as the labor market tightened further. The second group sees the economy as far too close to full employment to slow the pace of rate hikes. Notably, the phrase “a substantial overshoot of the maximum sustainable level of employment that would likely be costly to reverse” is code for “we don’t want to accelerate the pace of rate hikes later because we think it will cause a recession.” I view this group as thinking that policy cannot become any more gradual without abandoning gradualism. Consistent with their expectation that a gradual removal of monetary policy accommodation would be appropriate, many participants thought that another increase in the target range for the federal funds rate was likely to be warranted in the near term if incoming information left the medium-term outlook broadly unchanged. Several participants indicated that their decision about whether to increase the target range in the near term would depend importantly on whether the upcoming economic data boosted their confidence that inflation was headed toward the Committee’s objective. The key here is that the necessary data is not limited to inflation itself; this point may have been lost with the focus on inflation in these minutes. For instance, the data since this meeting indicates economic activity proceeds at a pace that supports continued tightening of labor markets. Most central bankers will interpret this as evidence the economy remains positioned to move further past their definition of full employment. Notably, the unemployment rate is now down to 4.1%, a level the Fed did not expect to see until the end of 2018. A few other participants thought that additional policy firming should be deferred until incoming information confirmed that inflation was clearly on a path toward the Committee’s symmetric 2 percent objective. The challenge facing central bankers is on full display on these minutes. FOMC participants are largely dissatisfied with the inflation readings. So why not just stop hiking rates? Because when assessing policy, they need to take into account the state of the labor market (or, more generally, the overall economy). 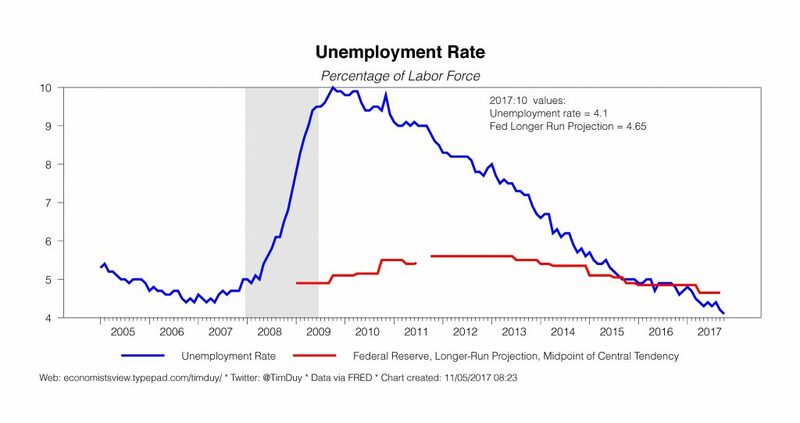 And while there is uncertainty in what exactly constitutes full employment, no one on the FOMC believes that the unemployment rate can fall to 0% before the economy overheats. Indeed, I doubt that anyone on the FOMC believes that 3% would be sustainable. Moreover, I don’t think that there is widespread belief that the Fed can accelerate the pace of rate increases at a later time without triggering a recession. 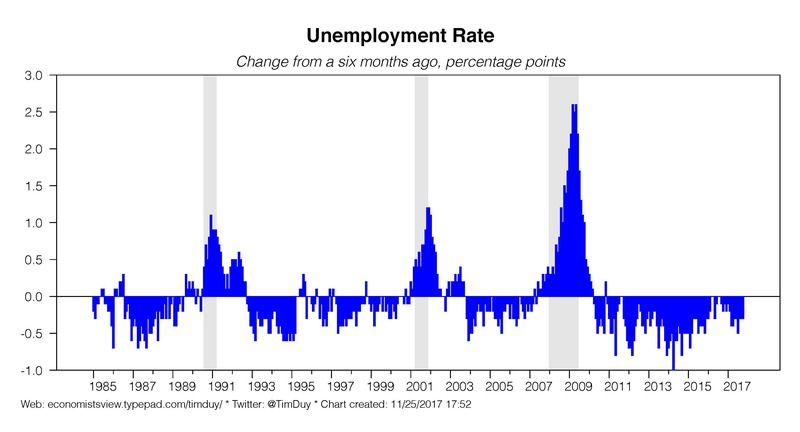 Essentially, given lags in the economy, once inflation becomes visible, the unemployment rate would already be too low to easily push the economy back up to full employment. In this view, recession is almost certain, not without justification – their track record on this point is not great. Consequently, when faced with the stench of the inflation numbers, most policymakers remain willing to just pinch their noses and continue to tighten policy. They are not yet ready to slow the pace of rate hikes, which is why December looks like a done deal. Will the group looking to slow the pace of rate hikes soon take control? It seems like that should happen by early 2018 if inflation remains mired below target. 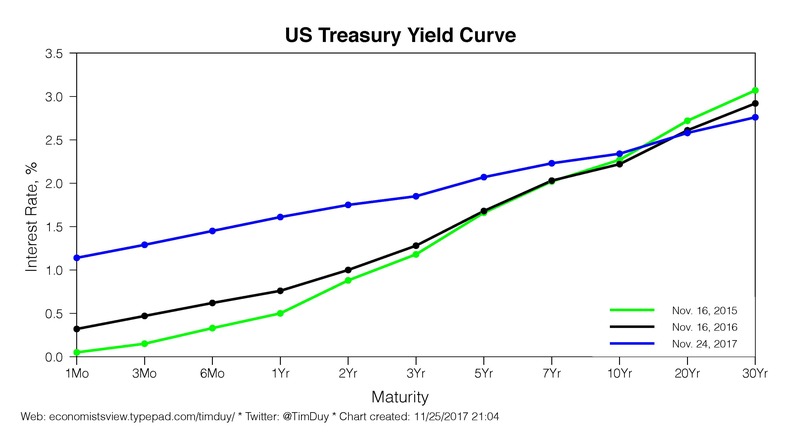 A reassessment of the estimate of the Fed’s terminal rate could help the Fed maintain its commitment to gradualism while slowing the pace of tightening. The stickiness of the long end of the yield curve may force FOMC members to lower their estimates of the longer run interest rate, thus allowing for the Fed to ease pace of tightening while mitigating the risk they will need to raise rates sharply to get to neutral – rapid hikes wouldn’t be needed because they would already be closer to neutral! Moreover, watch the FOMC churn here. I suspect at least three 2018 voting members – Dudley (for first half of 2018), Williams, and Mester – are not willing to take that risk. These voters take on more significance in the context of an understaffed Board of Governors. I am currently challenged to see them backing down until job growth slows and unemployment stabilizes, and I can see them throwing around their intellectual weight. Bottom Line: The squeeze on the Fed only intensifies. Should they ease the pace of rate hikes now on the inflation outlook, or is that countered by the falling unemployment rate? If the unemployment rate was a percentage point higher, they would slow the pace of rate hikes. If job growth slowed such that they could credibly believe that the unemployment rate would stabilize, they would slow the pace of hikes. But if the unemployment rate remains poised to fall further from current levels? That’s a much more difficult choice, one that hits on the core principle of “gradualism” that guides policy. They risk facing a faster pace of rates hikes later if they back down now, and that risk only grows the lower unemployment falls. The way out of out for the Fed: A lower estimate of the neutral policy rate.